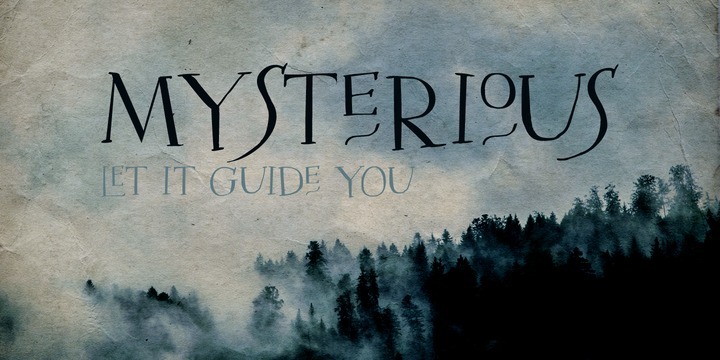 Mysterious is an odd, old fashioned and a bit scary looking script typeface created by David Kerkhoff and published by Hanoded font foundry. Based on 17th century styled lettering, Mysterious comes with many features like ligatures, stylistic alternates and extensive language support, making it perfect for book covers, posters, fancy art projects etc. Work with a Mysterious font! A font description published on Wednesday, August 23rd, 2017 in David Kerkhoff, Fonts, Hanoded, Script by Andrei that has 2,851 views.